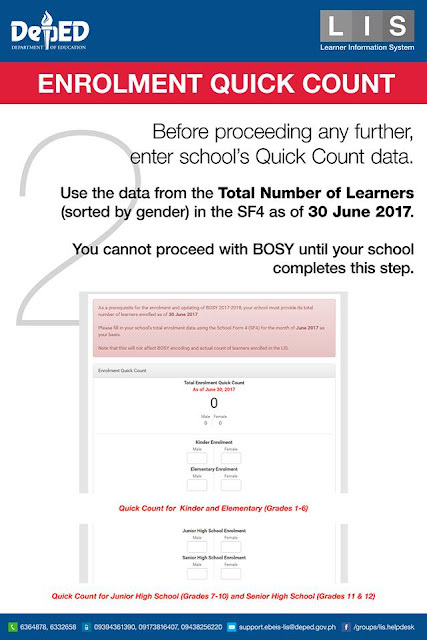 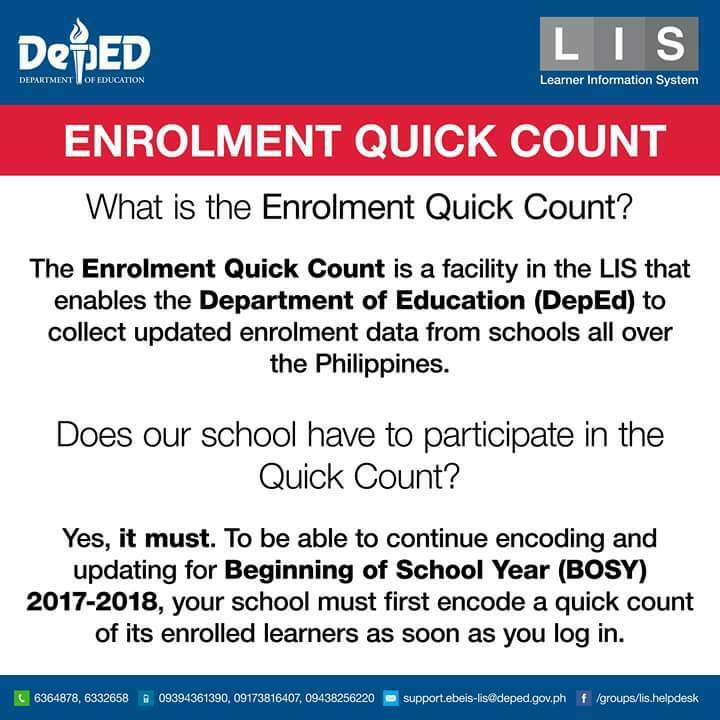 The schools in Elementary and Secondary are required to participate in the Quick Count by the Department of Education to continue encoding and updating enrolment data for Beginning of School Year (BOSY 2017 - 2018). 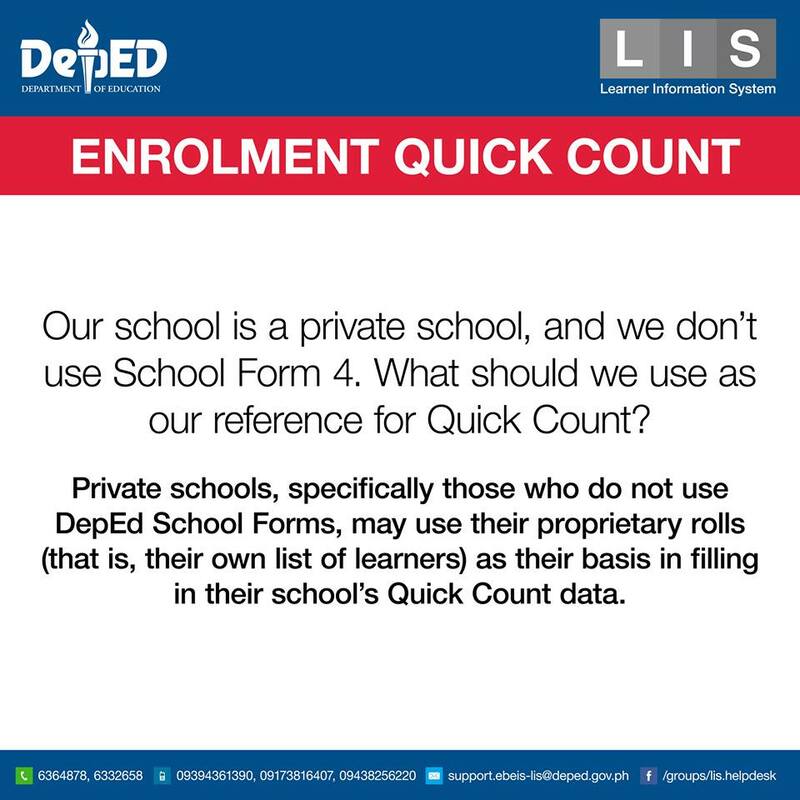 This Enrolment Quick Count facility has inevitably created some issues and concerns which need to be addressed in due time. 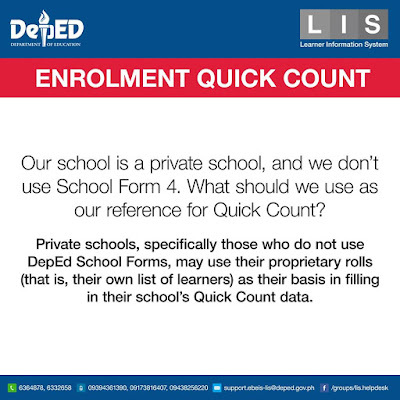 School heads and School System admins have found some problems in coming up with their respective EQCs. 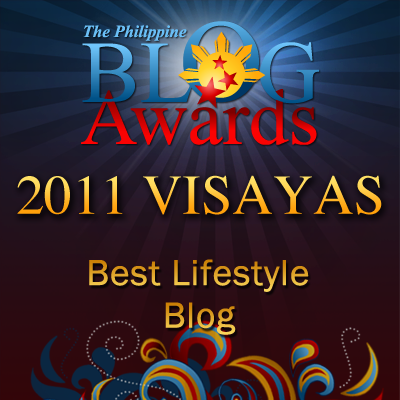 This post has emerged to address that particular problems. 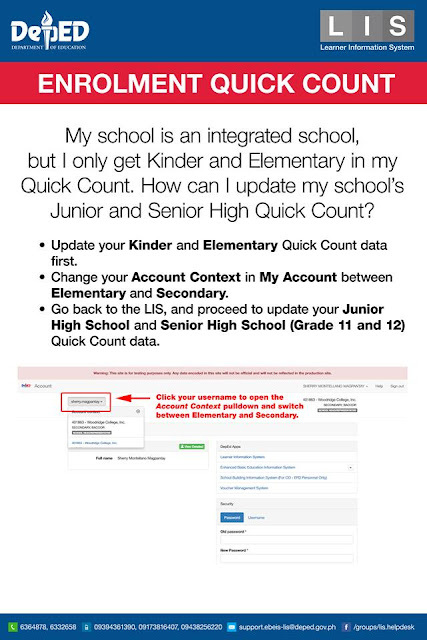 The blogger as a former school head and the admin of DepEd ICT coordinator Facebook Page has resorted to this initiative to help or assist persons concerned in any manner. 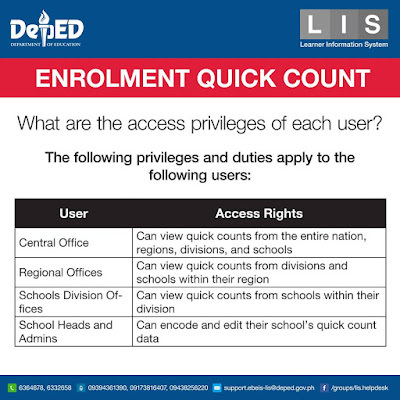 These would be the bases for the DepEd for their planning, budgeting, and the related task and welfare of the learners and the schools as well. 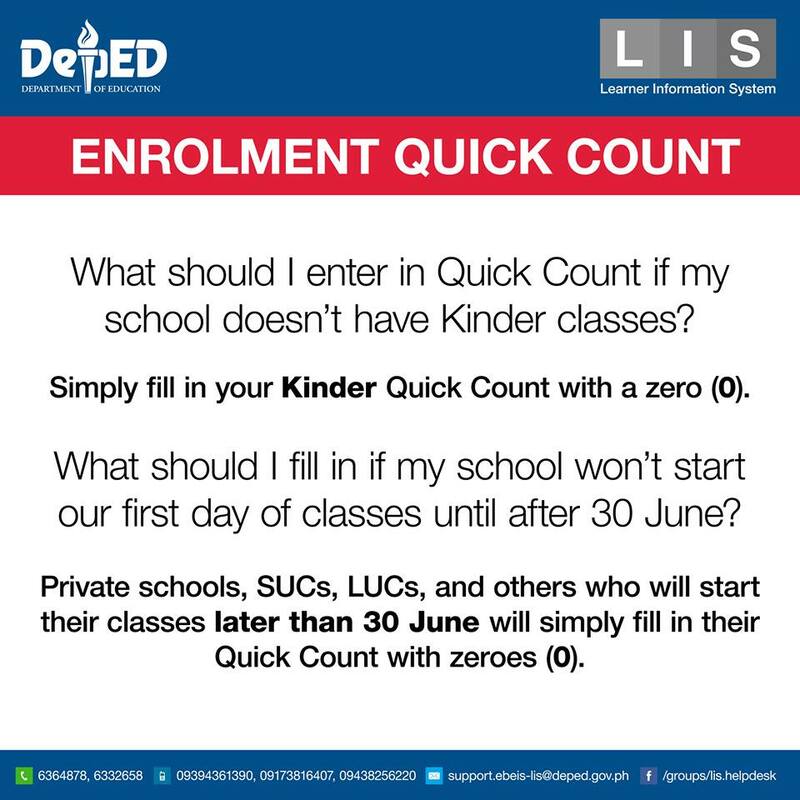 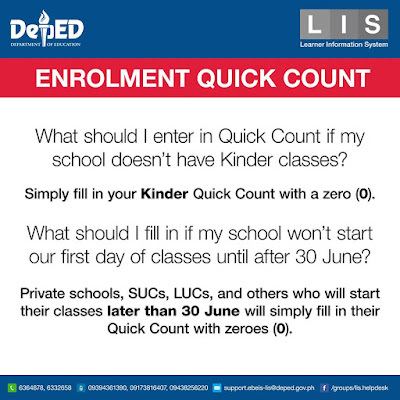 What is Enrolment Quick Count? 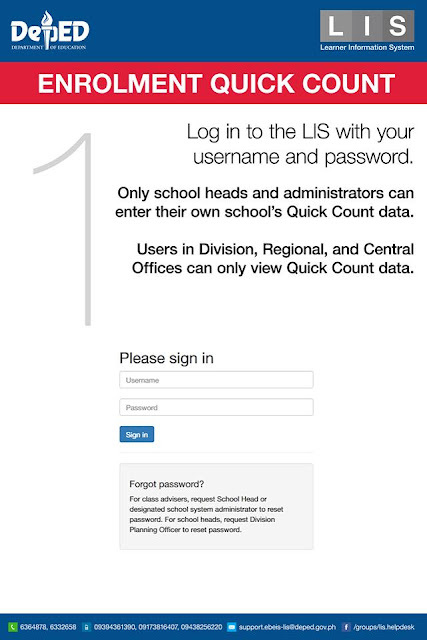 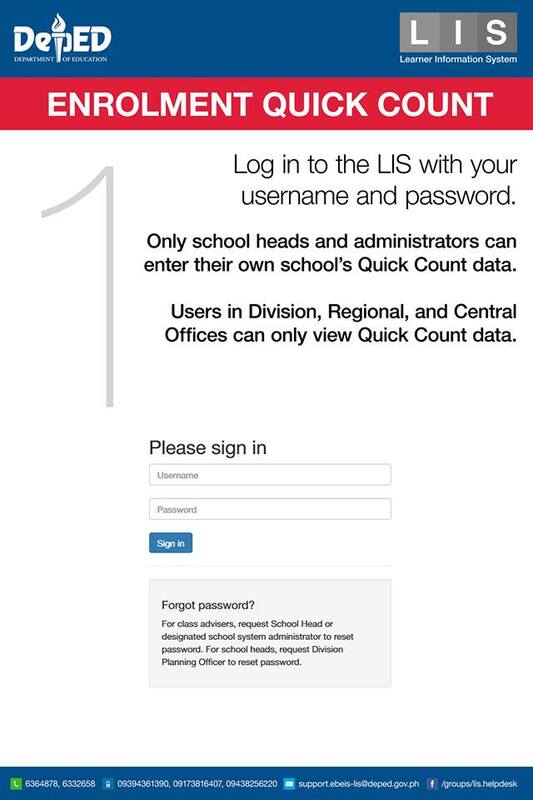 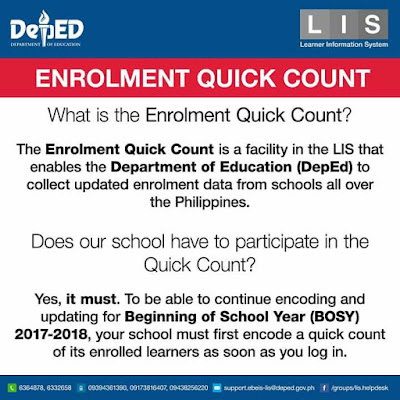 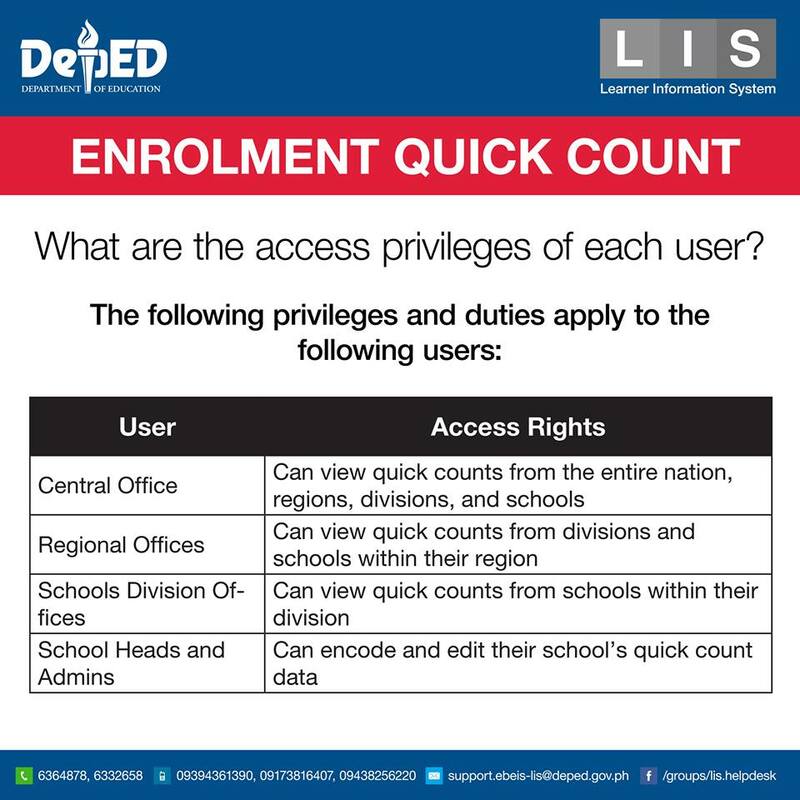 The Enrolment Quick Count is a facility in the LIS that enables the Department of Education (DepEd) to collect updated enrolment data from schools all over the Philippines. 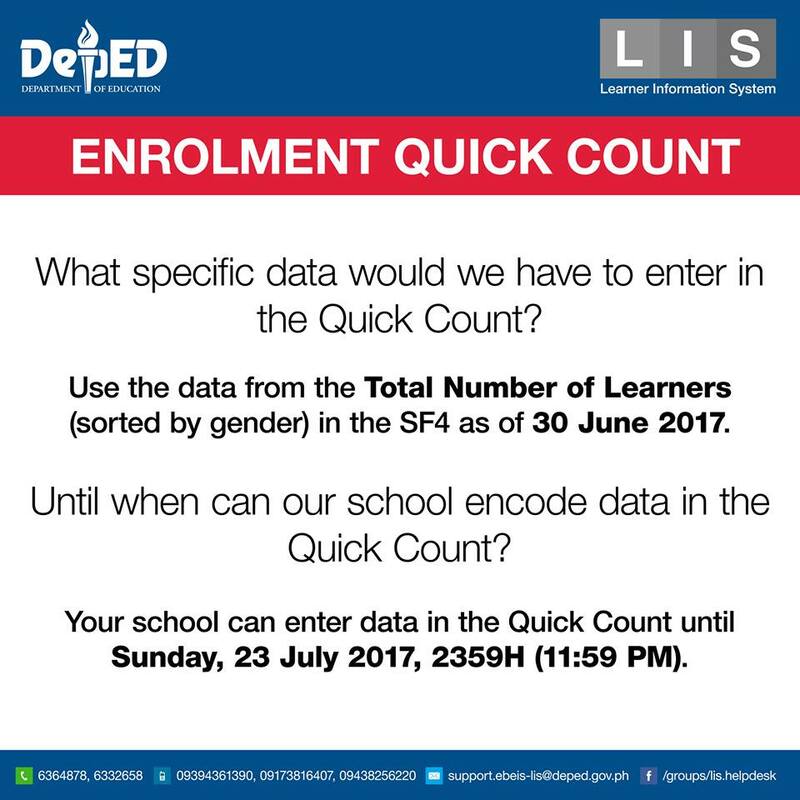 Note: Deadline is set to July 19, 2017, 6pm. 3. 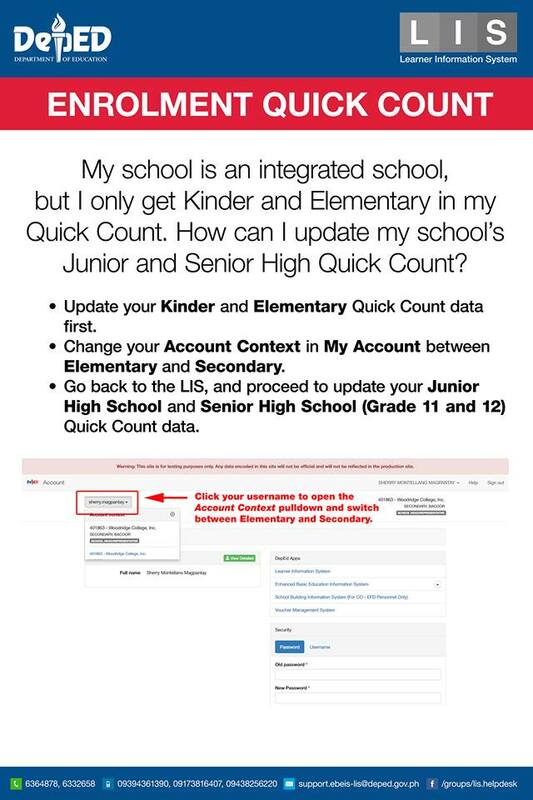 Submission. 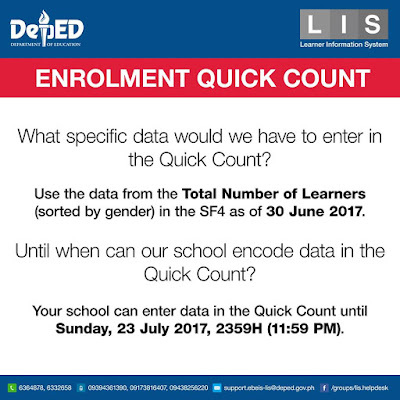 Deadline is set to July 19, 2017, 6pm.